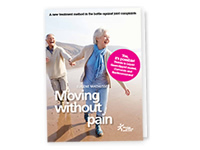 The website Movingwithoutpain.com is managed by Eugène Mathijssen, whom you can reach at info@movingwithoutpain.com. 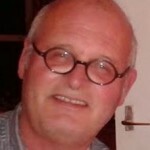 Eugène Mathijssen is Editor in chief of the website Movingwithoutpain.com. He is also a health journalist and author of several health books. Over the past five years many people around him have experienced trouble with arthritis and other joint problems. He noticed that many of them eventually became trapped in the healthcare system. They were also told that nothing could be done for them and they just had to learn to live with their symptoms. Furthermore they were sent home with an anti-inflammatory analgesic with many side effects. For this reason, Eugène Mathijssen became interested in joints and possible alternative treatments. In his opinion, nutrition, exercise and nutritional supplements are most of all good options for managing osteoarthritis and other joint problems. Consequently on Movingwithoutpain.com you can find information and tips on joint problems and possible treatment methods. Register for the Movingwithoutpain.com newsletter. For specific questions or further contact you can fill out the form below. In addition you can send an e-mail, e-mail us at info@movingwithoutpain.com.